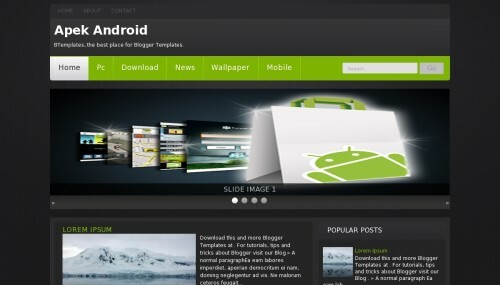 Apek Android is a free blogger template with 2 columns, right sidebar, slideshow, posts thumbnails and drop down menu. Excellent layout for blogs about software. Posting Terkait "Template Apek Android"